Legislation To Be Introduced By Assembly-Member Joseph Lentol Would Remove Barriers Preventing Wrongfully Imprisoned From Putting Their Lives Back Together. New York, NY - February 19, 2014 - Attorney General Eric T. Schneiderman today announced that he will propose legislation that revises Section 8-b of the New York State Court of Claims Act, which allows people who are wrongfully convicted of a crime, imprisoned and subsequently had their convictions overturned to present a claim for damages against the state. 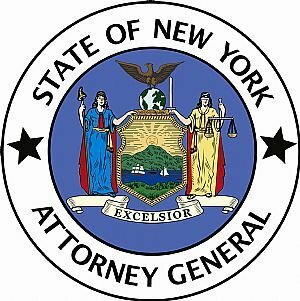 The Attorney General's "Unjust Imprisonment Act" would remove burdensome provisions from current law – barriers that can preclude people who were wrongfully convicted and imprisoned from recovering damages from the State of New York. The legislation will be introduced by Assemblymember Joseph Lentol, chair of the Assembly Codes Committee. During remarks delivered at John Jay College Of Criminal Justice’s “Life After Exoneration: Emerging Issues” breakfast program in Manhattan, Attorney General Schneiderman announced details of the proposed legislation and reasons the law needs to be revised. Adopted in 1984 and updated in 2007, the current law can prevent certain people from recovering damages from the state after having been wrongfully convicted and incarcerated. The proposed legislation allows those who can prove their actual innocence, even after pleading guilty, to pursue a claim. "Those who are wrongfully convicted and unjustly deprived of liberty must be allowed to put their lives back together again, and we have a moral obligation to help them do so,” said Attorney General Schneiderman. “The legal reforms we are proposing today are critically important not just to the futures of the people wrongfully convicted by our criminal justice system, but to our future as a just society. The Unjust Imprisonment Act will remove unjust and unnecessary burdens on those who have been imprisoned for a crime they did not commit." Assemblymember Joseph Lentol said, "New York State law currently presents unnecessary and unjust barriers to recovery for some individuals who have been wrongfully convicted and imprisoned. I am proud to sponsor this legislation to fix the law, and thank the Attorney General for his leadership on this issue." Albany County District Attorney David Soares said, "Prosecutors are in the business of locking up the bad guys. But when the system fails us, and innocent people are sent to prison, they must be given a chance to rebuild their lives afterward - it’s only fair. I applaud Attorney General Schneiderman for proposing this legislation." The Unjust Imprisonment Act would amend the law to clarify that a person who falsely confessed or pleaded guilty to a crime he or she did not commit may still be eligible to pursue a claim for damages under Section 8-b. Under current law, a person whose conviction was overturned may pursue a claim only if that person can show he "did not by his own conduct cause or bring about his conviction." People who falsely confess or plead guilty to crimes they did not commit may be considered to have "caused or brought about" their conviction. There is overwhelming evidence that points to wrongful convictions occurring as a result of false confessions and ineffective assistance of counsel, among other reasons. The current law includes an overly broad exclusion that disregards certain extenuating, but all too common, circumstances for a false confession. It doubly victimizes innocent people who were in fear for their lives, who had a nervous, mental or psychological problem, or were simply too young to know better, so they admitted doing something they didn't do. The Unjust Imprisonment Act would also amend the law to allow those whose claims are dismissed for failure to personally verify their claim to correct the mistake and resubmit the claim. Under current law, a claimant must personally verify his claim in cases involving unjust conviction and imprisonment, with no ability to correct an improperly verified claim once the 2-year statute of limitations has expired. An example is the case of Fernando Bermudez, who was tried and convicted of murder in 1992 and released from custody nearly 18 years later, in 2009, after being found innocent. Bermudez subsequently filed a claim against the state under Section 8-b. While he signed the claim, he failed to personally verify the claim by signing a statement asserting he had been wrongfully convicted. Although the Attorney General's office notified Bermudez's lawyer of the error, the lawyer failed to fix the verification in time, and the Attorney General's office is now obliged to seek dismissal of the claim. The proposed amendment gives Bermudez, and others going forward, six months from a dismissal for failure to correctly verify a petition to correct the technical error. The Unjust Imprisonment Act would also expand the existing grounds for dismissal of a case that can form the basis of a claim under Section 8-b. The current list of “eligible grounds” for 8-b relief is unduly narrow and, quite inexplicably, excludes cases where the dismissal was based on a violation of the claimant’s constitutional rights or on post-conviction DNA evidence indicating that the claimant was “actually innocent.” This bill would broaden the list of dismissal grounds that can form the basis of a claim under Section 8-b, and thereby help to ensure that the truly innocent are not denied their day in court. The Unjust Imprisonment Act would extend by one year the statute of limitations for filing a claim for damages by those who seek to prove they were wrongfully convicted and imprisoned. In an effort to ensure that no one who may be eligible for relief under the statute is shut out of his or her ability to make a claim, persons who were pardoned, or whose cases were dismissed based on exculpatory DNA evidence, constitutional violations or on any other ground enumerated in the statute, would have three years from the date of the pardon or dismissal, rather than the current two years, to file a claim for damages. Seymour W. James, Jr., the Attorney-in-Charge of the Criminal Practice of The Legal Aid Society in New York City and former NYS Bar Association President, said, "Innocent people falsely confess to crimes for a variety of reasons. In approximately 25% of wrongful convictions that have been overturned with DNA evidence, false confessions, admissions or statements were made to law enforcement officials. Attorney General Schneiderman's legislation would permit these individuals to seek compensation for their wrongful imprisonment. The statute would also permit those who are factually innocent, who are currently unfairly barred from proving their innocence, to pursue a claim when a conviction has been obtained by violating the claimant's constitutional rights. These changes are in the best interest of fairness and justice." Since 1991, 27 people in New York have had their convictions reversed because of DNA evidence, according to the Innocence Project. At least 10 of those 27 people had also made false incriminating statements or pleaded guilty. Subject: LongIsland.com - Your Name sent you Article details of "AG Schneiderman to Introduce Unjust Imprisonment Act to Ensure All Wrongfully Convicted Have Access to Court Remedy"